It is All About Fishing on March 9th 2019! Would you like to learn how to cast a fishing rod, tie a fly, or catch a salmon and steelhead? Now you have a chance to do all that under one roof! On March 9th, join us at Chilliwack Heritage Park to learn all about fishing in Chilliwack! Local fishing experts at the show will demonstrate the basics of different fishing techniques. 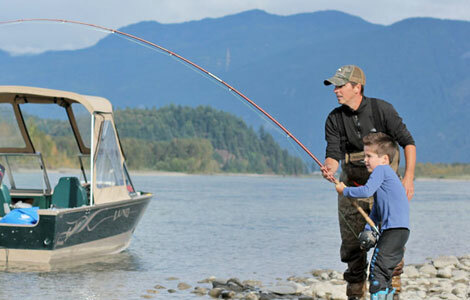 Find out where you can go fishing in the Fraser Valley. Learn about conservation efforts being done by local watershed stewardship groups. From novice to experienced anglers, this is a FREE event for all ages! Used Fishing Tackle Sale! NEW! The followings are the presentations at this year's show! by Jordan Oelrich, Interior Fly Fishing Co.
For more information, please check our Facebook event page or email us!